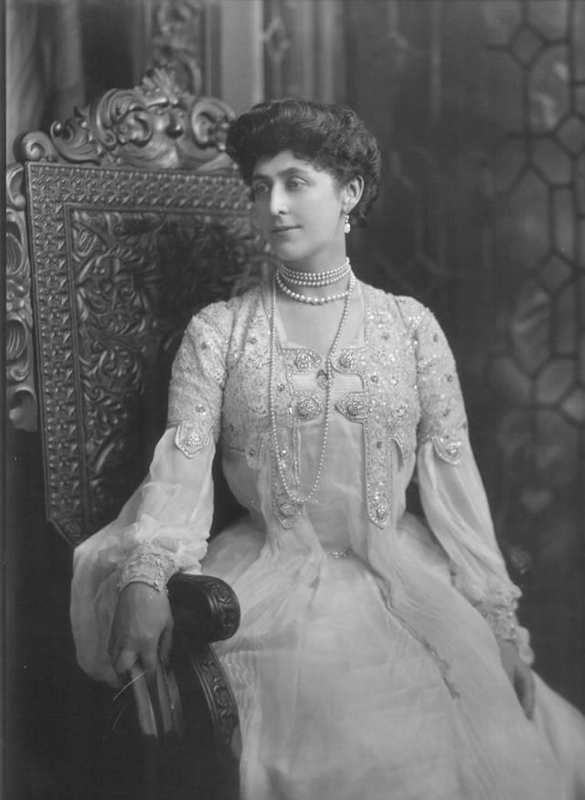 Sitters: (Constance) Gladys, Countess de Grey, later Marchioness of Ripon (d. 1917). Biog: Society beauty and benefactor of Covent Garden; 3rd daughter of 1st Baron Herbert of Lea, statesman; m. 1stly (1878) 4th Earl of Lonsdale; m. 2ndly (1885) 2nd Marquis of Ripon. Furnishings and props: Studio set; Jacobean style studio chair. 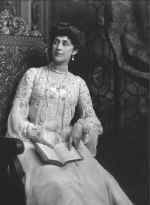 Biog: Burke's Peerage; The Times, 29 October 1917, p 10e & 1 November p 9e; Anita Leslie, Edwardians in Love, London, 1972. Reproduced: The Ladies' Field, 6 June 1903, front page; (versions) Madame, 28 May 1904, front page; The Car Illustrated, 26 November 1902, front page ('photographed specially for The Car by Lafayette'); ; A.C. Fox-Davies, ed., Their Majesties' Court 1906, London, 1907, plate 454.